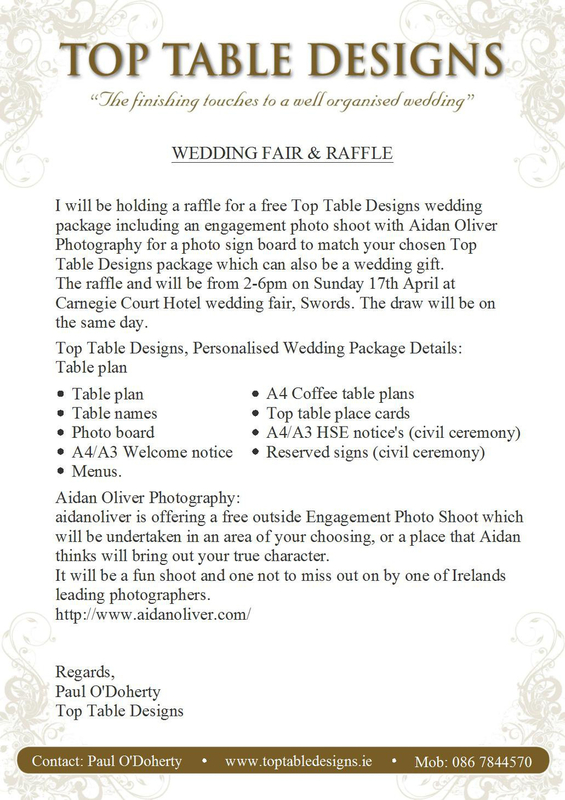 Some news just in.......Paul O'Doherty from Top Table Designs will be holding a raffle for a free Top Table Designs wedding package including an engagement photo shoot with ourselves, ie, aidanoliver photography. This will take place on the Sunday, 17th April from 2-6pm at the Carnegie Court Hotel Wedding Fair. The very best of luck to all entrants and we are looking forward to shooting the lucky couple. Will keep you all posted!! !.